What is the cheapest way to get from Orlando Sanford Airport (SFB) to Lafayette? The cheapest way to get from Orlando Sanford Airport (SFB) to Lafayette is to taxi which costs $13 - $16 and takes 12h 41m. What is the fastest way to get from Orlando Sanford Airport (SFB) to Lafayette? The quickest way to get from Orlando Sanford Airport (SFB) to Lafayette is to fly and bus which costs $240 - $350 and takes 3h 40m. How far is it from Orlando Sanford Airport (SFB) to Lafayette? The distance between Orlando Sanford Airport (SFB) and Lafayette is 659 miles. The road distance is 760.9 miles. How do I travel from Orlando Sanford Airport (SFB) to Lafayette without a car? The best way to get from Orlando Sanford Airport (SFB) to Lafayette without a car is to bus which takes 19h 7m and costs $150 - $210. How long does it take to get from Orlando Sanford Airport (SFB) to Lafayette? It takes approximately 3h 40m to get from Orlando Sanford Airport (SFB) to Lafayette, including transfers. How long is the flight from Orlando Sanford Airport (SFB) to Lafayette? The quickest flight from Orlando Sanford Airport to Baton Rouge Airport is the direct flight which takes 2h. What is the time difference between Orlando Sanford Airport (SFB) and Lafayette? Lafayette is 1h behind Orlando Sanford Airport (SFB). It is currently 12:03 PM in Orlando Sanford Airport (SFB) and 11:03 AM in Lafayette. Can I drive from Orlando Sanford Airport (SFB) to Lafayette? Yes, the driving distance between Orlando Sanford Airport (SFB) to Lafayette is 761 miles. It takes approximately 12h 41m to drive from Orlando Sanford Airport (SFB) to Lafayette. Which airlines fly from Orlando Sanford Airport to Baton Rouge Airport? 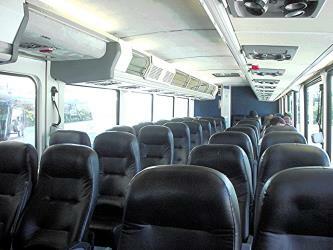 ViaAir offers flights from Orlando Sanford Airport to Baton Rouge Airport. Where can I stay near Lafayette? There are 68+ hotels available in Lafayette. Prices start at $46 USD per night. What companies run services between Orlando Sanford Airport (SFB), USA and Lafayette, LA, USA? 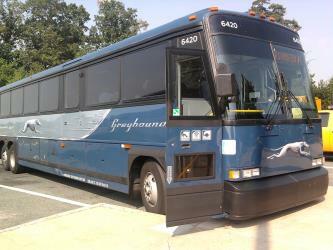 Greyhound USA operates a bus from Orlando Sanford Airport (SFB) to Lafayette 5 times a day. Tickets cost $75 - $110 and the journey takes 18h 35m. Discover how to get to attractions and hotels near Lafayette. The Acadian Village is a private cultural park located in Lafayette, Louisiana. The Cathedral of Saint John the Evangelist or La Cathédrale St-Jean, originally called l'Église St-Jean du Vermilion, is the cathedral and mother church of the Catholic Diocese of Lafayette. It was the first parish in Lafayette Parish, founded in 1821, and was made cathedral upon the erection of the diocese in 1918. Lake Martin, located in St. Martin Parish, is a wildlife preserve and one of Louisiana's swamplands. The swamplands are home to a few trails as well as many different kinds of animals such as herons, egrets, ibis, bullfrogs, cottonmouths, alligators, and coypu (nutria) rats. Despite its classification as a wildlife reserve, however, there have been minor problems with litter and vandalism. The Cajundome is a 13,500-seat multi-purpose arena located in Lafayette, Louisiana. It is home to the Louisiana–Lafayette Ragin' Cajuns men's basketball (as well as the Ragin' Cajuns women's basketball program when the men and women play doubleheaders), and the Louisiana high school basketball state championship. Rome2rio makes travelling from Orlando Sanford Airport (SFB) to Lafayette easy. Rome2rio is a door-to-door travel information and booking engine, helping you get to and from any location in the world. 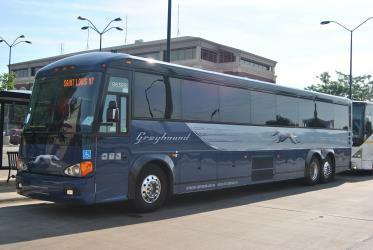 Find all the transport options for your trip from Orlando Sanford Airport (SFB) to Lafayette right here. Rome2rio displays up to date schedules, route maps, journey times and estimated fares from relevant transport operators, ensuring you can make an informed decision about which option will suit you best. Rome2rio also offers online bookings for selected operators, making reservations easy and straightforward.